Broxtowe Borough Council press release: Our Clean and Green Campaign has been recently launched as part of an initiative to make Broxtowe a cleaner place. There will be lots taking place as part of the campaign to complement what we already do to keep Broxtowe clean and tidy and we’ll keep you updated about events in your area. 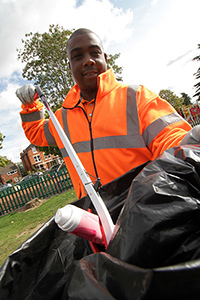 We are asking individuals, community groups, schools and businesses to take collective responsibility for keeping the Borough clean and tidy and encourage everyone to recycle more. If you’d like to organise an event, we can help by loaning equipment. If you’d like to organise an event, contact our Waste and Recycling Team.